A Complete European package. Offering customers a German Designed solar module with an Austrian manufactured inverter this is our most popular product choice. Hanwha Q-Cells are one of the largest solar manufacturers in the world. Offering a true German Designed product, with their main R & D still based in Germany, this offers customers a leading product year after year. Q-Cells back their product with a 12 year warranty which is 2 more than most in this industry and they offer a linear performance guarantee for 25 years which means from day one your system is already out performing most other panels on the market. 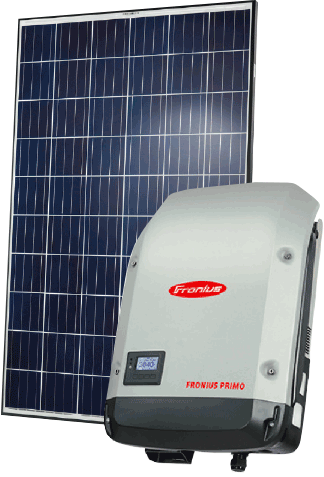 Fronius inverters are now our most popular inverter choice among customers. They are backed with a 5+5 warranty, built in Wi-Fi and offering optional consumption monitoring. As they are produced in Austria the build quality of the product along with the strict quality control processes are second to none.